It’s time for ‘Japan by Prefecture‘ again! This is the series that aims to provide the highlights of each prefecture of Japan, along with my personal favourites and suggestions from readers. 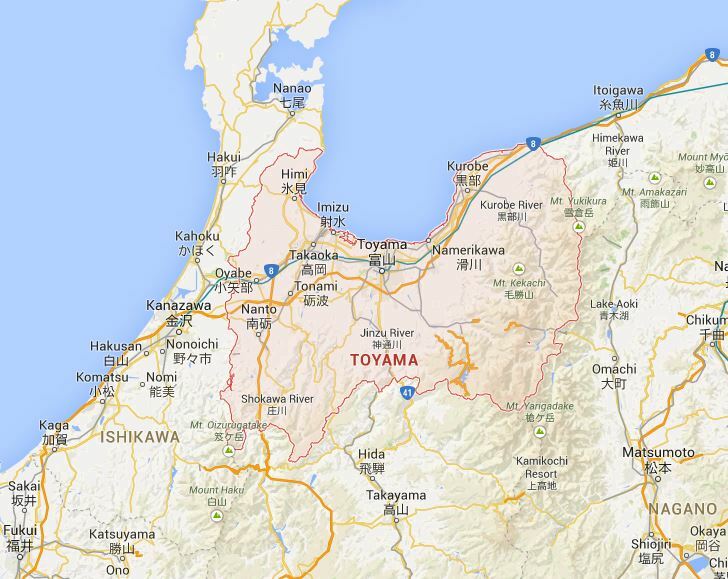 This week, we’re looking at Toyama (富山県). Toyama Prefecture is part of the Chubu Region (中部地方), and is also part of what is known as the Hokuriku Region (北陸地方). Because I have a friend living in Toyama Prefecture I had the pleasure of visiting for the first time last year, albeit only briefly. Luckily, I can always rely on you, dear readers, to suggest lots of places for me to write about! This week Japan Australia suggested the UNESCO World Heritage Site Gokayama, the Tateyama Kurobe Alpine Route, and Kurobe Gorge; Zooming Japan suggested Toyama Castle; and Kei offered Toyama Bay. So, it would seem Toyama Prefecture has quite a bit to offer! Let’s start with some of the basics. The capital city of Toyama Prefecture is Toyama City (富山市). Toyama City is not particularly a tourist spot, but as it is on the new Hokuriku Shinkansen line from Tokyo to Kanazawa, a lot of tourists will be passing through. During my brief visit there I was left with the impression that it was a pleasant city. The air felt clean, and I likes the fact that in the distance I could see snow-capped mountains. The tram or ‘Toyama Light Rail’ was pretty cool too. City central and Mt. Tate viewed from Mt. 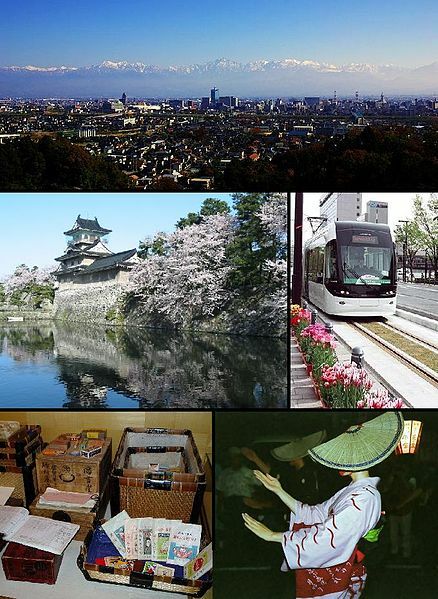 Kureha, Toyama Castle, Toyama Light Rail, Traditional medicines of Toyama, Owara Kaze no Bon. 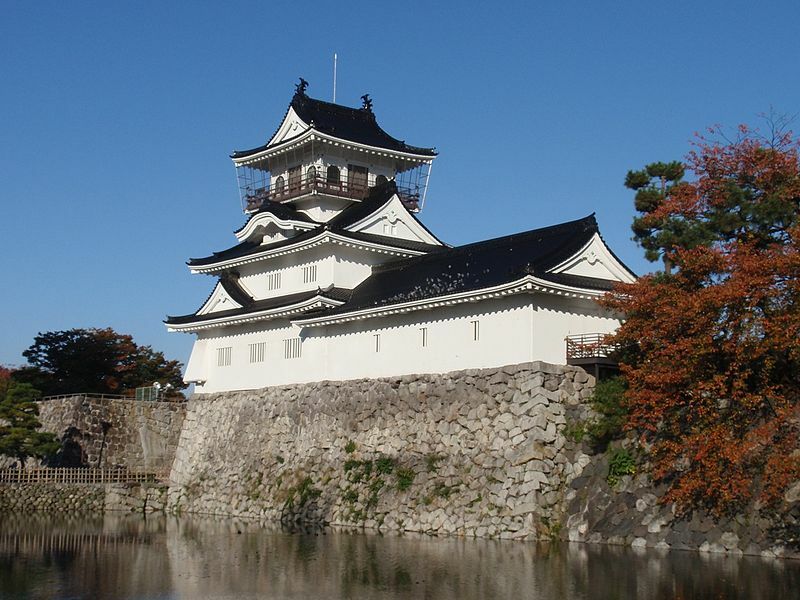 Toyama Castle (富山城) is in Toyama City . This castle, built in 1543, is also known as Azumi Castle (安住城). The castle is not one of Japan’s ‘original’ castles, and is now more of a museum. The current main tower of the castle was rebuilt in 1954. 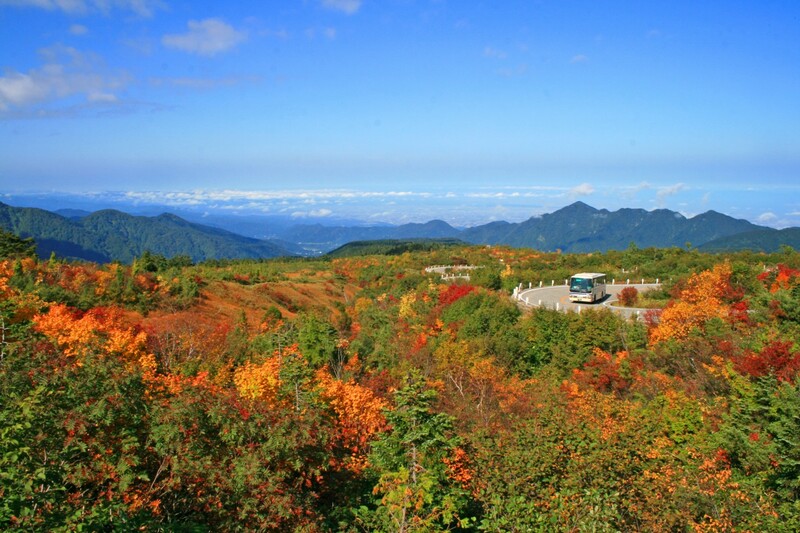 One of the most famous parts of Toyama Prefecture is what is known as the Tateyama Kurobe Alpine Route (館山黒部アルペンルート). This route through the Northern Japan Alps, completed in 1971, connects Toyama City with Omachi Town in Nagano Prefecture. The route is traversed by various means of transportation, including cablecars, trolley buses and a ropeway. It is only open from April until November, and when it is closed in the winter months the area is completely inaccessible. The route is popular for its magnificent alpine scenery which changes throughout the year. In the autumn (late September to early October) the coloured leaves are beautiful, and in the summer many alpine flowers can be seen (June to August). 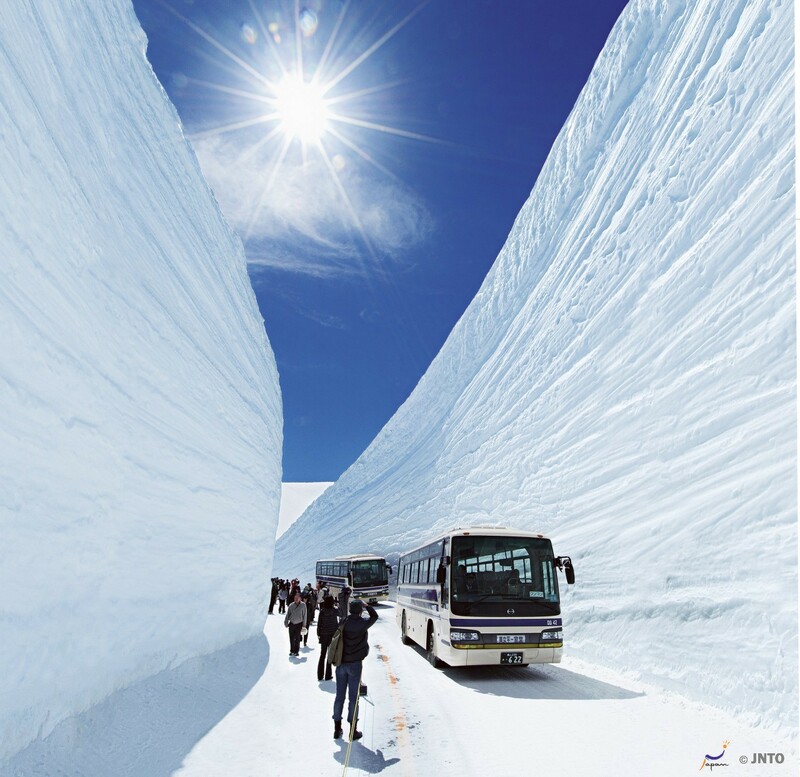 However, the most popular time to visit this area is probably the spring (mid-April to mid-June), when accumulated snow forms a ‘snow corridor’ with snow walls of up to 20 metres high. It looks spectacular! Another area of natural beauty in Toyama Prefecture is Kurobe Gorge (黒部峡谷), which is one of the deepest gorges in Japan. 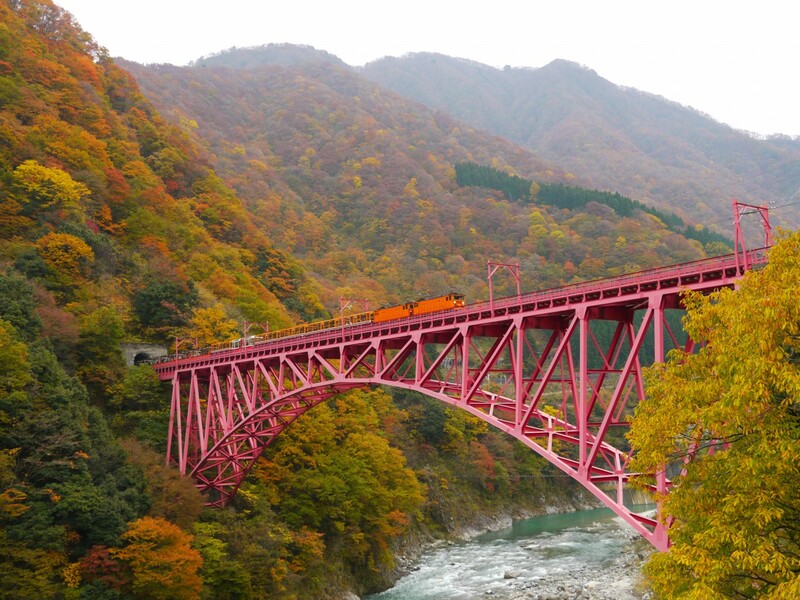 The Kurobe Gorge Railway is one of the main attractions of the gorge, and I can imagine the views are incredible. Small trains run on a 20 kilometre stretch lasting about 80 minutes, going over more than 20 bridges and through over 40 tunnels. The trains run from April to November and the best time to go is the autumn, although this will also be the busiest time. I really do love Chubu, as it has so much to offer and is just so beautiful. 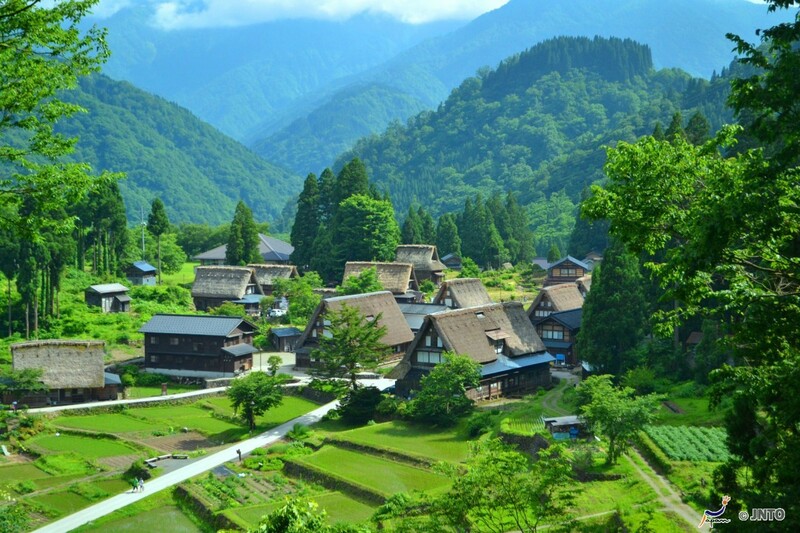 Whilst many people will have heard of Shirakawago (白川郷) in Gifu Prefecture, the UNESCO World Heritage Site famous for its old picturesque farmhouses, fewer people are familiar with its neighbour in Toyama Prefecture – Gokayama (五箇山). Both Shirakawago and Gokayama are known for their gassho-zukuri (合掌造り) – thatched farmhouses with a steep slanting roof resembling praying hands. Shirakawago is by far the more famous of the two areas, but Gokayama seems just as lovely. Doesn’t it just look like something from a Studio Ghibli movie? When I visited Toyama last year my friend took me to Takaoka (高岡). Takaoka is not really a top tourist spot, but I enjoyed it nonetheless. You can read all about my visit here. 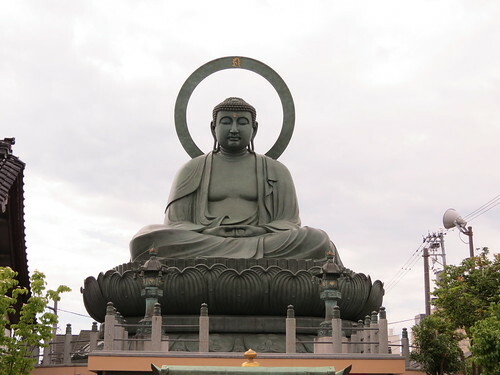 For me, the main attraction in Takaoka was the Takaoka Daibutsu (高岡大仏); a 15.85 metre high, 65 ton seated Buddha statue. Takaoka is also home to a fantastic temple called Zuiryuji (髄龍寺), which is well worth checking out if you’re in the area. Finally, I must mention Toyama Bay (富山湾) or, more specifically, some of the creatures that can be found there. Toyama Bay, which borders Toyama Prefecture and Ishikawa Prefecture, is known as a spawning ground for firefly squid (‘Watasenia scintillans‘ to give them their proper name) – ‘Hotaruika’ (ホタルイカ) in Japanese. 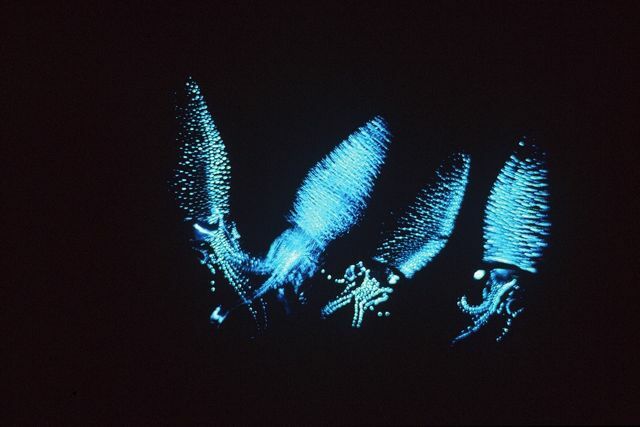 Firefly squid are bioluminescent, and grow to a length or only three inches. These teeny tiny squid have light-producing organs which emit deep blue light. How cool is that?! 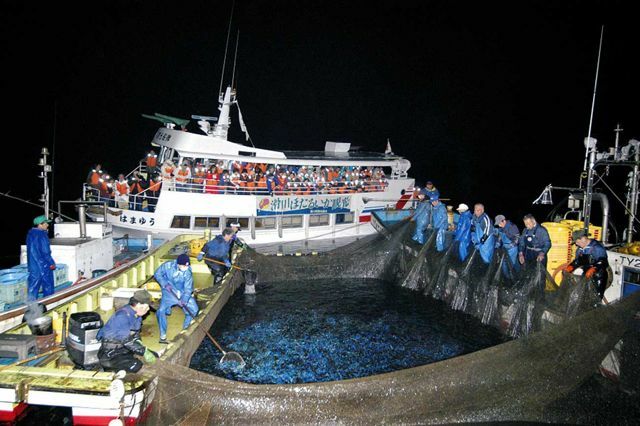 The squid are fished from March to June in Toyama Bay and although they usually live at 1,200 feet the waves in the bay push them to the surface in large numbers. As well as being able to see a fantastic light show if you happen to be in Toyama at the right time, firefly squid are apparently a delicacy in Toyama, so I suppose you can see what they taste like too. Toyama Prefecture isn’t really a touristy place, so there aren’t that many famous souvenirs (or ‘omiyage’ / おみやげ), but according to the official Tourist Information page there are a few things to look out for when in Toyama, including paper products (especially Gokayama washi), lacquerware products (originating in Takaoka), Takaoka copperware, woodcraft, sake and beer, and fishing industry products. Toyama is also famous for trout sushi, pictured bottom right. Next week I will be writing about Ishikawa (石川県). Have you been there? What’s good to eat there and what omiyage should I buy? What are the best sightseeing spots or hidden gems? Please do share your thoughts below, and join me next week for Japan by Prefecture! Huh, apparently I’ve been to Toyama and never realized it! We did a day trip from Nagano one year to the Tateyama Kurobe Alpine Route. I just remember those snow walls being really high!! I’ve only been to Kanazawa in Ishikawa-ken but it is one of my favorite cities in Japan. Don’t miss a wander in the Nagamachi samurai district. I was there in the autumn two years ago and hardly anyone else was around. Lots of beautiful little gardens scattered about and the old mansions are beautiful. On the edge of the district, you can watch artists painting the famous Kaga kimono at the Nagamachi Yuzenkan. Hope to go back someday soon and explore more! Wow, you’ve done the Tateyama Kurobe Alpine Route? That’s cool! Toyama is a hidden gem that should be visited by more people with all the great sights and attractions it has. I also recommend the spectacular coastline of the Noto Peninsula and the hot spring town of Kaga Onsen in Ishikawa Prefecture. Yes, Toyama has a lot more to offer than I realised! Gosh, I always get the travel bug when I read this blog feature! Gokayama looks beautiful! Thanks Sophie – that’s the idea! 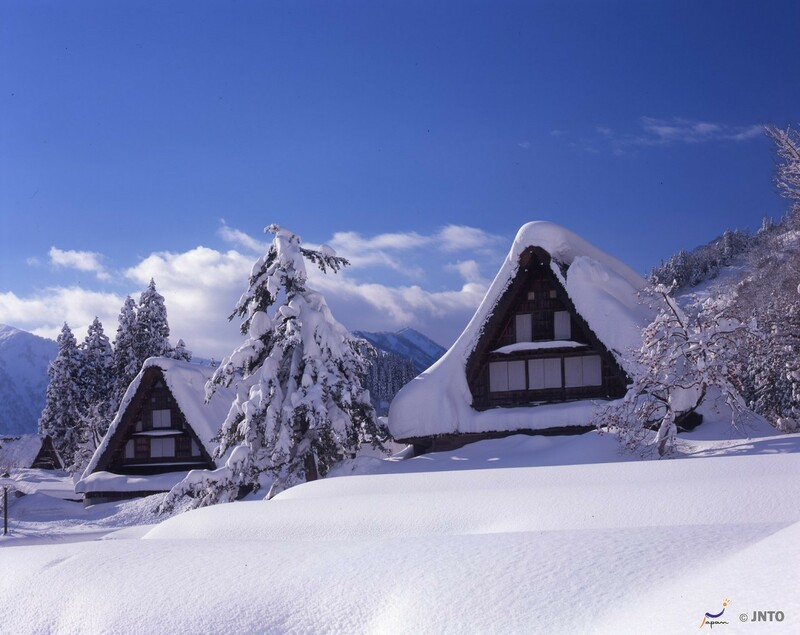 Yeah, Gokayama and Shirakawago are beautiful! For Ishikawa next week, obviously Kanazawa is on the list! The sakuda gold leaf museum and shop are a real highlight. Another interesting site in Kanazawa is Myoryu-ji (aka Ninja-dera) – a temple with hidden floors, secret doors, and tunnels designed to confuse enemies. Unfortunately access has to be pre-booked by phone so it is quite difficult for non-Japanese speakers to get a look inside but it is really worth it if you can. For such an historic city Kanazawa also has an amazing modern art museum – the building is a work of art itself and the “Swimming Pool” is great fun. Food-wise, sushi and crab at the Omicho market. 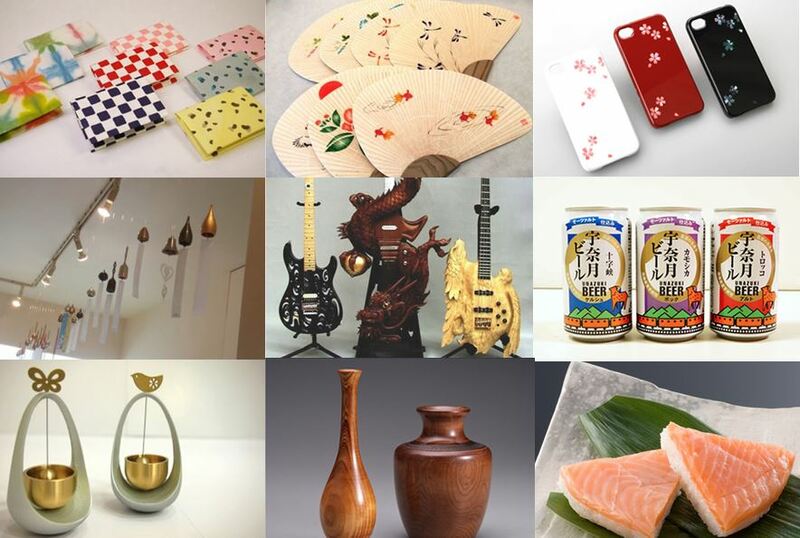 For omiyage, then some gold-leaf or some dyed silk – Kanazawa is famous for both. Thanks Paul. 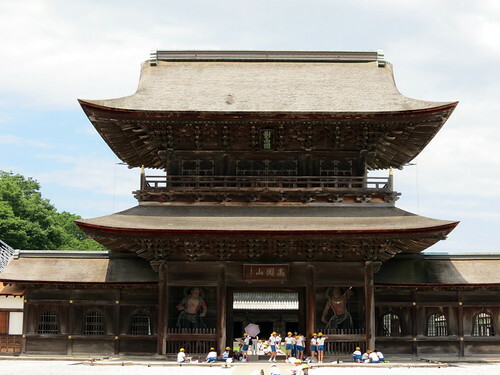 Yes, I’ve heard Ninja-dera is not that welcoming to visitors but worth it if you can get in.